Birthdays: Gaius Julius Caesar, Henry David Thoreau, Impressionist painter Eugene Boudin, Oscar Hammerstein, Kirsten Flagstad, Andrew Wyeth, Pablo Neruda, George Eastman, Milton Berle, Cheryl Ladd, Van Cliburn, Buckminster Fuller, George Washington Carver, Josiah Wedgewood- of Wedgewood china and pottery, Michelle Rodriguez, Richard Simmons, Krysty Yamaguchi, Bill Cosby is 82, Ben Burt- George Lucas’ sound effects guru who created the sounds of Darth Vader and R2D2, is 70. 1928 - 1st televised tennis match. 1937- The US Government passed the Marijuana Licensing Act, the first of many laws to try and regulate and eventually eliminate marijuana growing. The act was ruled unconstitutional in 1969, but by then marijuana was top on the list of illegal substances. 1948 - 1st jets fly across the Atlantic -6 RAF de Havilland Vampire bombers. 1960: The first Etch-a-Sketch goes on sale. Frenchman Arthur Granjean, invented it. (he called it L’Ecran Magique, or “The Magic Screen”). After failing to get some of the bigger toy companies to bite, he sold his invention to the Ohio Art Company. 1962 – The Rolling Stones 1st performance at the Marquee Club, London. One band member named Elmo Lewis, changed his name to Brian Jones. 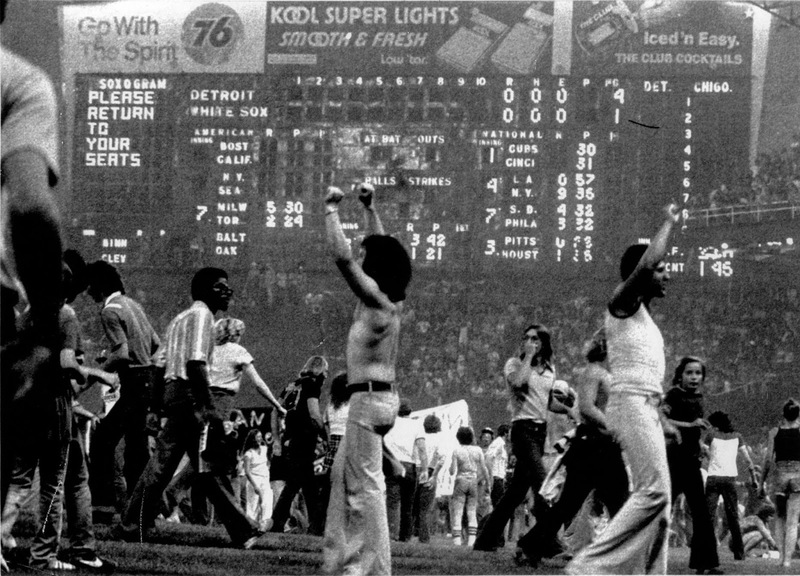 1979- Disco Demolition Night. 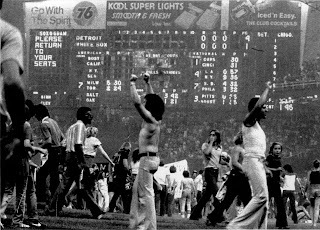 Chicago fans could get into Comisky Park for 98 cents if they each brought a Disco record to burn. Instead of the usual crowd of 5,000, they got 50,000 who rushed the field. Thousands of records were thrown at the players like Frisbees while they were trying to play, and the field torn up when they dropped a crate of records on the pitcher’s mound. The Chicago White Socks were forced to forfeit the game to the Tigers. 1990- TV series Northern Exposure premiered.